At the center of the lawsuit was an allegation of the township’s voluntary undertaking to inspect sight lines at the intersection, which were dangerously obstructed, according too the complaint. The township had argued it had no duty to install traffic control devices at the uncontrolled intersection, and was not obligated to address sight-line issues. The court denied the township’s numerous motions to dismiss the complaint, allowing the case to go to trial. When you or a family member suffers injuries due to the negligence of a city police department, a township road commissioner or a public school employee, you may have a legal claim for damages. 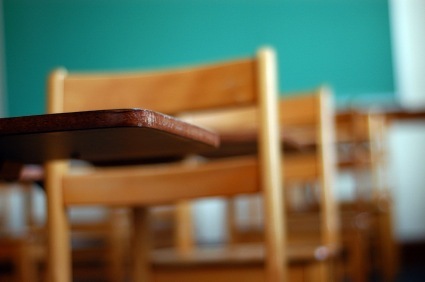 Absent certain exceptions, however, public schools and municipalities in Illinois are often protected (have “immunity”) from claims or lawsuits arising from ordinary negligence. Some exceptions include negligently failing to maintain a public improvement, such as a road or highway, in a reasonable and safe manner, or in those instances in which the entity voluntarily undertakes a legal duty to act in some way. Other exceptions may arise if it is shown that the entity or its employees acted in an intentional or willful & wanton manner, exhibiting indifference for the safety of others. It is important to retain an attorney experienced in successfully litigating and overcoming governmental tort immunity. Attorney John J. Malm has successfully overcome tort immunity for his clients in cases involving negligence and wrongful death. Be advised that there is a statute of limitations which requires that such claims be filed no later than one (1) year from the date of injury, and there may be other formal notice requirements that must be followed before a claim or lawsuit can be filed. Please consult with a knowledgeable attorney right away. Kane County, Illinois. Laceration injury, scarring and disfigurement, municipal liability. A settlement for $250,000 has been reached by attorney John J. Malm on behalf of a 10-year old girl who suffered a 6-centimeter avulsion flap laceration above her forehead and right eyebrow in an accident with a municipal vehicle. The injured girl suffered hyper-pigmentation and disfigurement.